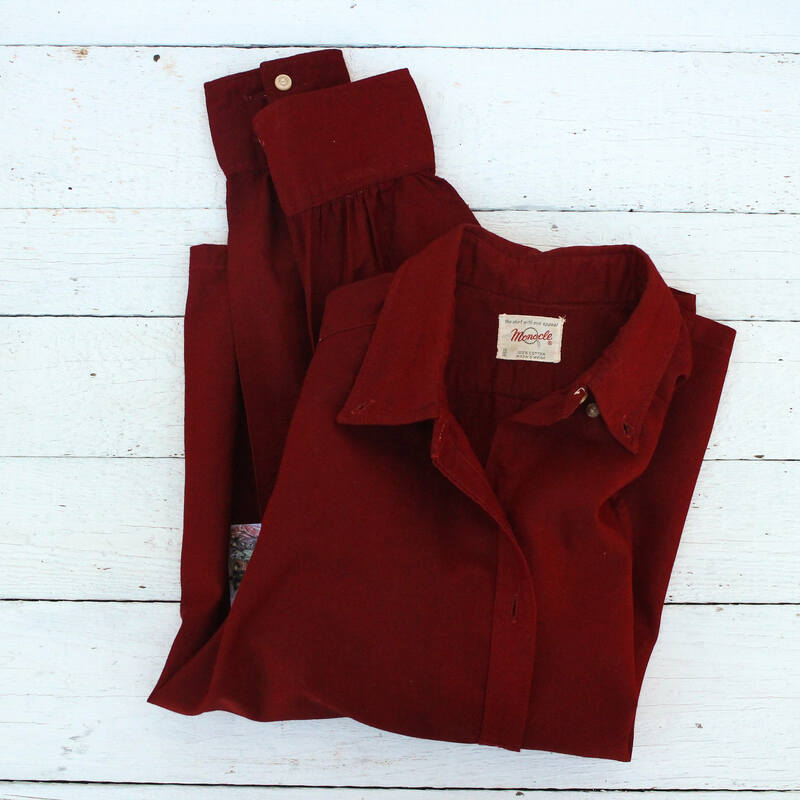 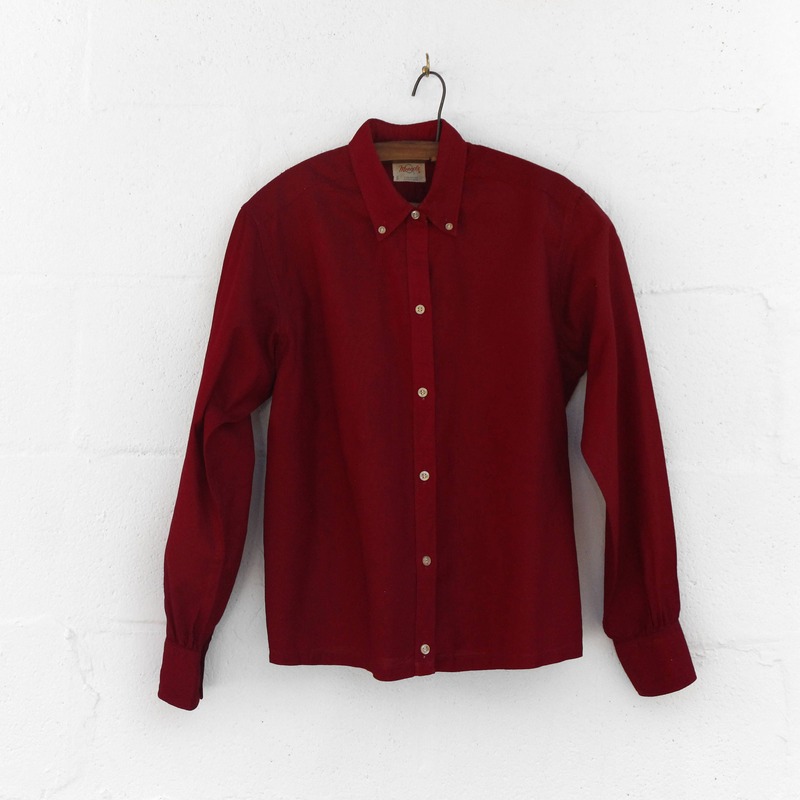 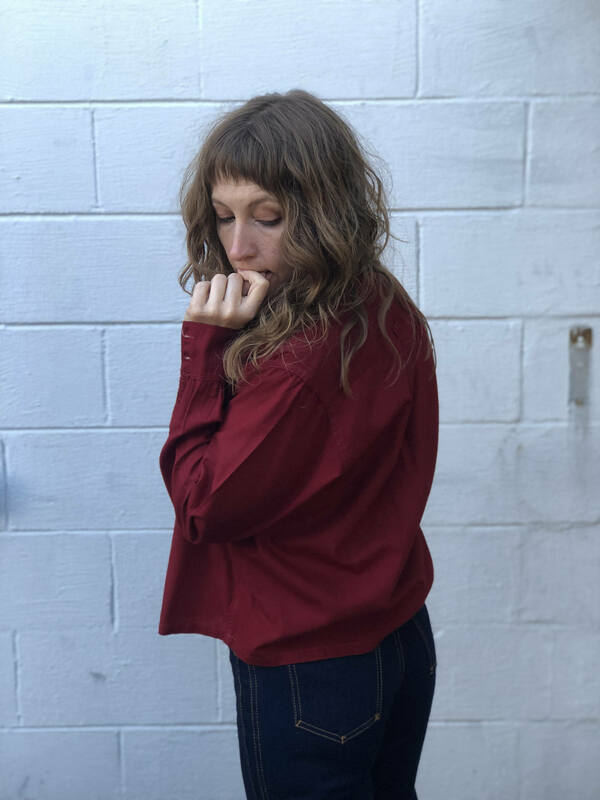 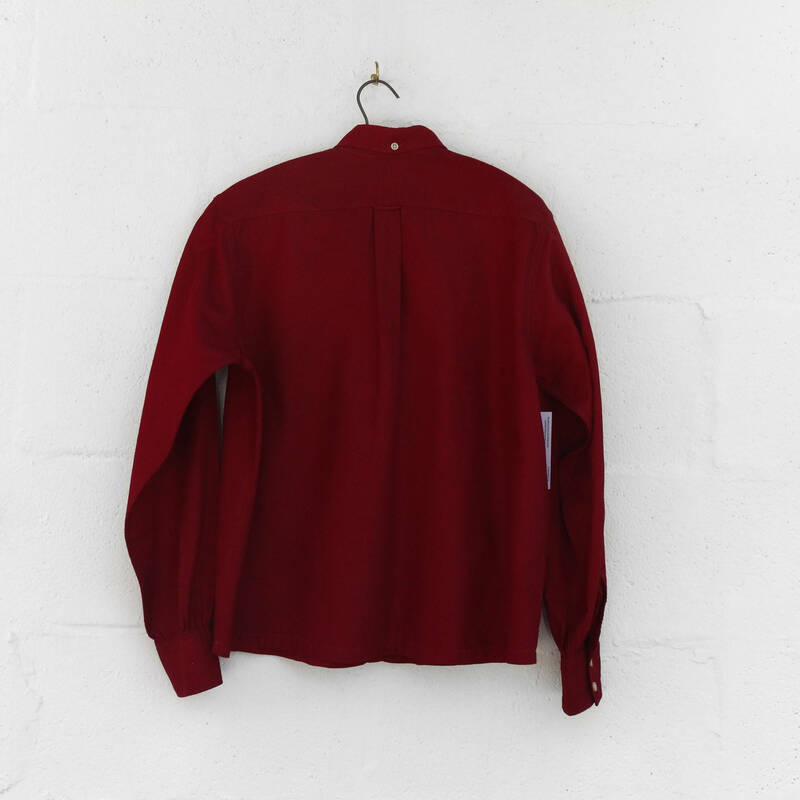 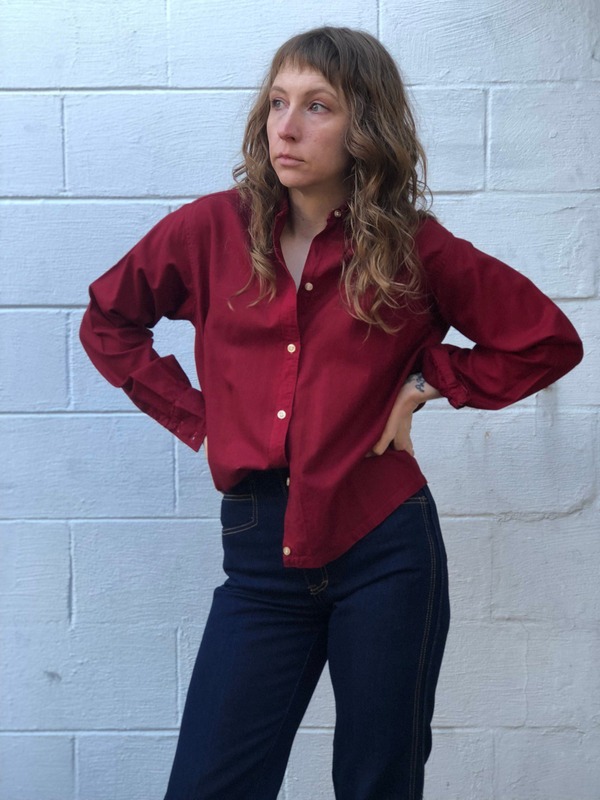 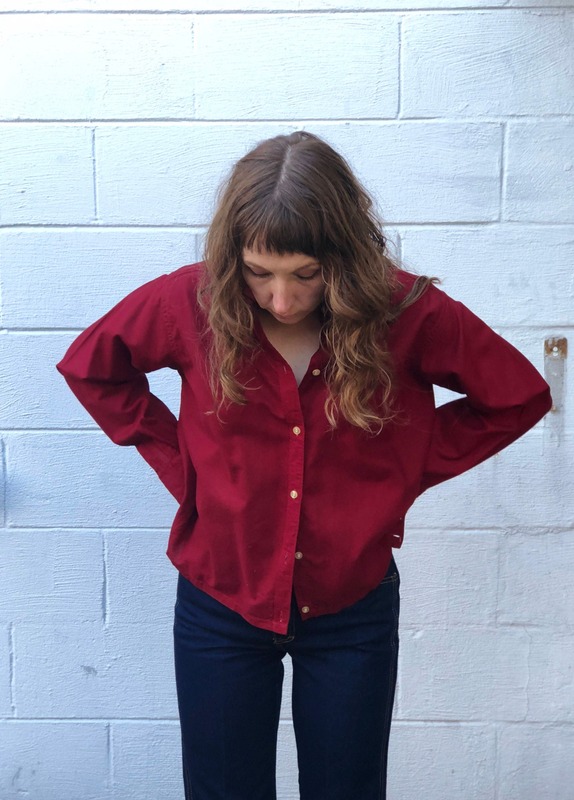 The 1950's women's button down oxford comes in a rich burgundy. 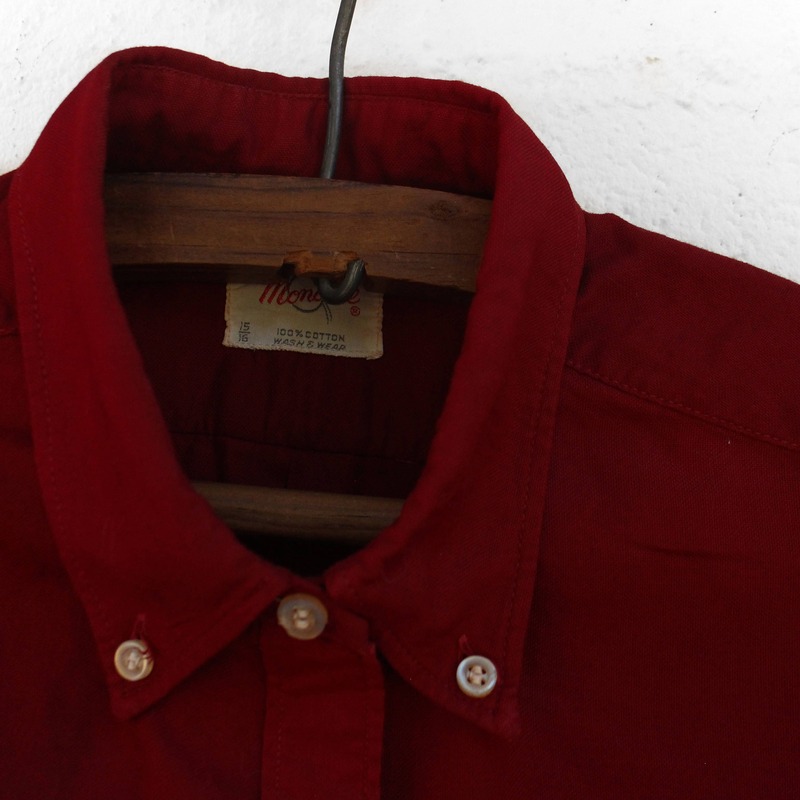 The shirt is square cut, in great shape. 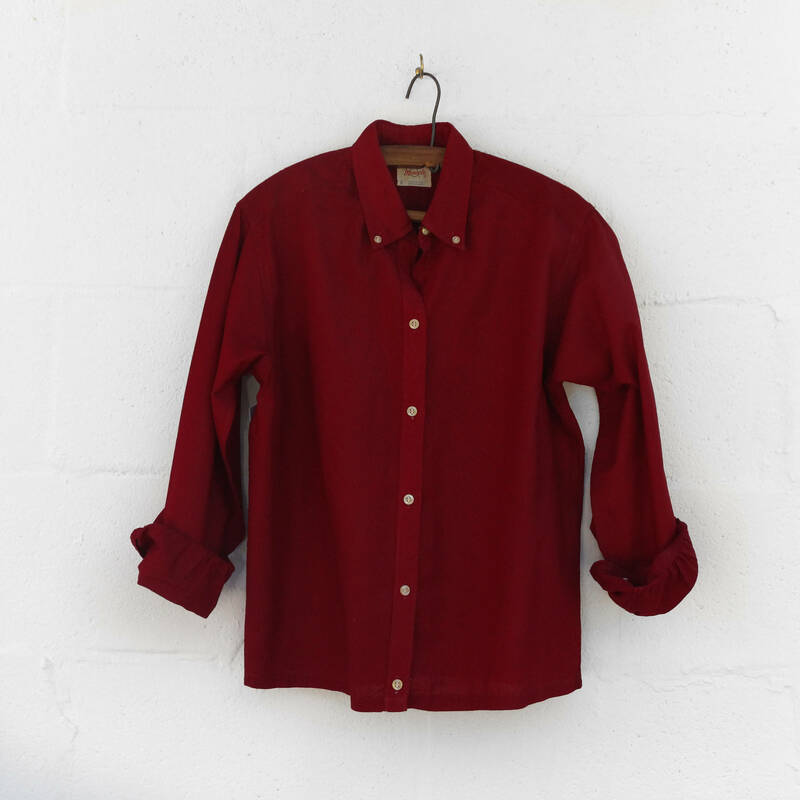 It is made form high quality fabric, feels soft yet sturdy.